Bonjour lecteurs! I am such a naughty girl! I have not published a photography post over the last two weeks. We have been so busy looking for a house. And once I managed to have some time, I had to write reviews or other posts that I planned a long time ago. Basically, we don’t have enough hours in the day! But this weekend, the weather is gorgeous so I must make the most of it and go out with Baba. So Living Arrows 33/52 will be a short one. I will share some photos from our weekend away in Tunbridge Wells. And we have been up to so much! 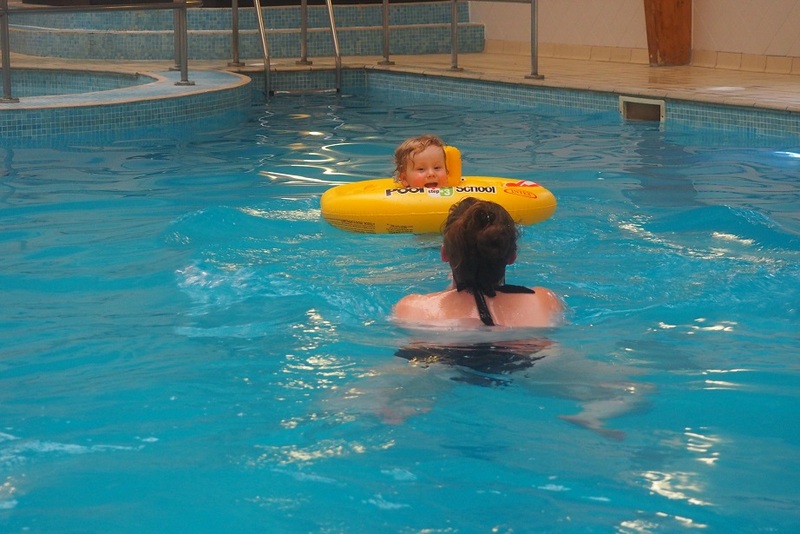 As the hotel we stayed at had a swimming-pool, we made the most of it. Baba got into his little baby boat and Frenchie Mummy took him for a ride. I am not a very good swimmer and I prefer when Grumpy Boyfriend does this. Le bébé liked it for a bit but he was keen to have a go at it properly on his own. He is quite heavy and I am not strong enough to hold him. But Papa was doing a great job and Maman had some time in the steam room while her two favourite men were splashing around. He also played a lot in the hotel room! 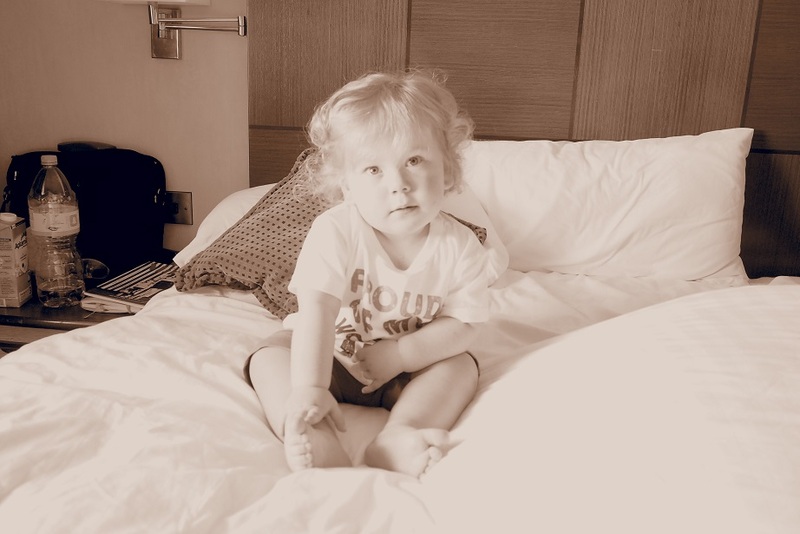 La piscine was not enough fun for him and as soon as he was bathed, he had a bundle on the bed… Full of energy! At first, he was very good, posing for the camera. But it was not to last! Oh no! Back to the cheeky Baba! He is probably going for the remote control to watch cartoons! La tornade Baba was quickly on the move and we had some play time in the room! Proudly wearing his top from Pregnant Then Screwed, he was in good form! If you like his top, you can win the same here with our last Baba Fashionista! Living Arrows 33/52 is also about discovering nature! Pour finir, our escapade to Tunbridge Wells was also the occasion to go to a local park. Le bébé was eager to run around and go on the swing! 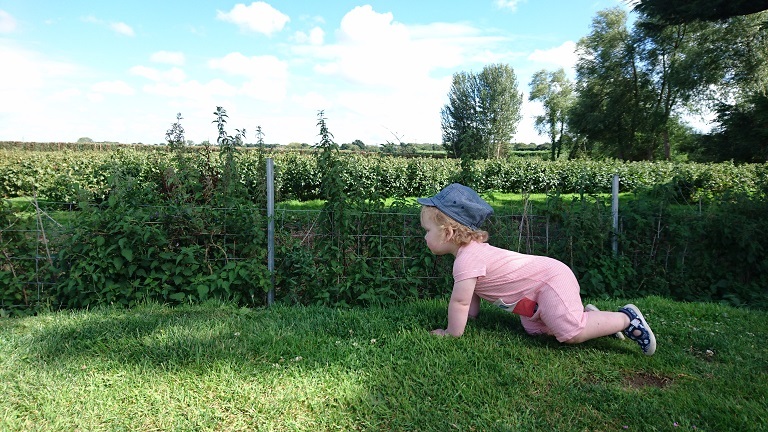 With his cap on to make sure he was protected from the sun, he had a good look around. He finally played in the kids’ area and made a lot of friends. Let’s show the world how mobile I am! Le problème? We still need to practise the concept of queuing and sharing toys with others. He can sometimes be a bit dominant! I will blame it on Grumpy Boyfriend. Another weakness coming from his side of the family! That’s it for our Living Arrows 33/52 folks! I hope you had your dose of Frenchie Baba for the weekend! Let’s go to the park!